Senior home care businesses provide invaluable services to the elderly and disabled. An agency typically has aides that provide light housekeeping, transportation and personal care services.The costs for starting a home health care business vary widely depending on whether you obtain a franchise license or start an independent business. Home health care agencies allow seniors to stay longer in their own home than they otherwise might be able to. 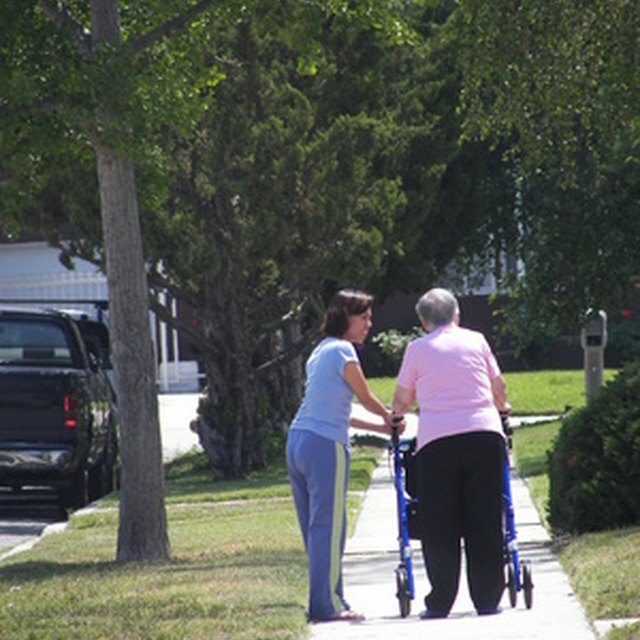 Home care is significantly less expensive than nursing home care and much less disruptive. Senior home care businesses connect seniors with aides to provide care. Start-up costs include advertising both for aides and for clients. There may also be costs in your state for obtaining a home health care license or certification and providing any needed training to your new hires. You will also need a computer for administration and advertising. Consulting a lawyer is also a wise investment. According to Entrepreneur magazine's business center, start-up costs for a home care business range from $2,000 to $10,000. Another option is to purchase a franchise license. Start-up costs for a franchise range from $60,000 to $100,000, or more. Though the franchise costs more, it can also provide name recognition, which is invaluable in attracting clients. What Are the Requirements to Start a Spa Business?